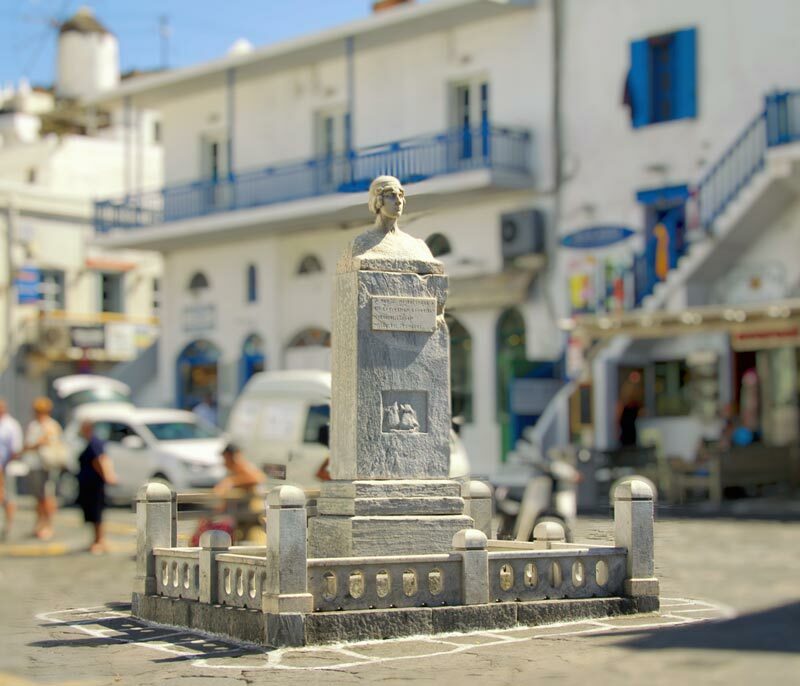 As you stroll around Chora, the beautiful capital of Mykonos, so serene in its fall dress, surrounded by a calm sea, you pass by Manto Mavrogenous square. This central “piazza” of the Old Port is “home” to a legendary woman, whose marble bust stands in the middle of the square. Her fascinating story goes back to the times of the Greek revolution, in 1821, where Mykonos played a key role. 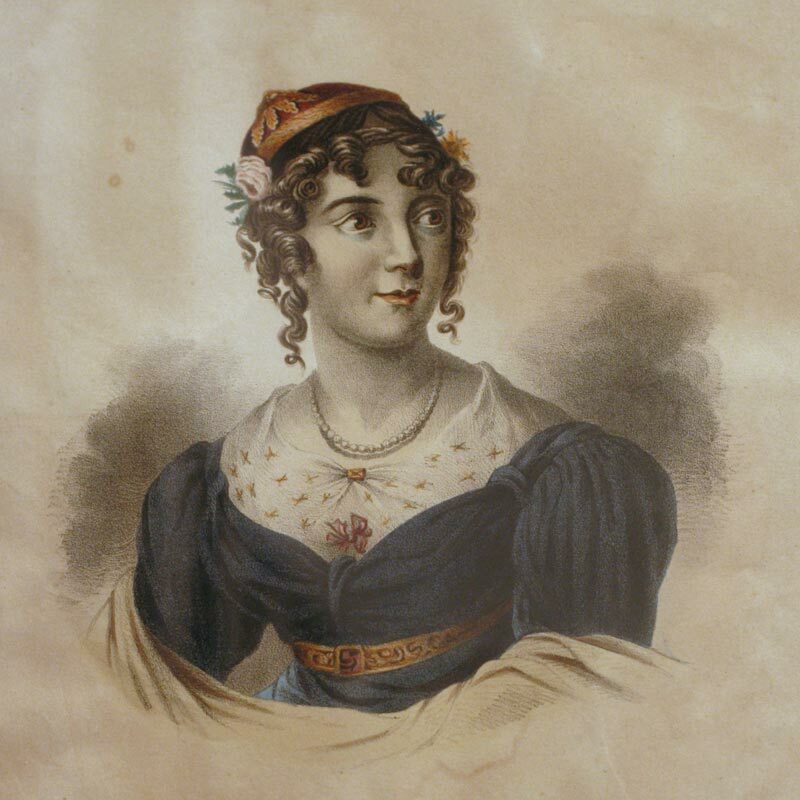 Magdalene ‘Manto’ Mavrogenous was born in Trieste, in 1796, and raised in a well-off aristocratic, educated and politically liberal family. Her father was a successful merchant in Greece and abroad and her mother, a well educated, polyglot woman born in Mykonos, also took care of the family business. Manto received a high education and was much influenced by the ideals of the Enlightenment. As a result she grew up to being a dynamic young and very open-minded lady at a time when women were considered as “children of a lesser god”. Historians say that despite of having an intelligent, beautiful mind, Manto Mavrogenous was known in her cosmopolitan environment as ‘La bella Greca’. Nevertheless, Manto had no time for playing the role of a great looking debutante since her heart was already devoted to the idea of liberating Greece, that for the past almost 400 years was occupied by the Turks. She started speaking with unlimited passion to her European friends about the need for the independence of her country, raising interest and funds for the Great Cause. The Greek Revolution started in 1809. Manto alone equipped and manned at her own expense a fleet and an infantry, sent hundreds of men to campaign in the Peloponnese, forwarded army and money to other islands threatened by the enemy and kept spending every penny of her fortune to support the Great Cause in any possible way. In the course of things, she met famous Demetrius Ypsilanti, brother of a prince, and was engaged to him. Unfortunately their engagement was opposed and broken by several powerful politicians who didn’t want the unification of two powerful families. Manto went to Nafplio, first capital of Greece, where she lived, deeply depressed and without any money left. Later she returned to Mykonos where she started writing her memoirs. In 1840 Mavrogenous moved to the island of Paros where she died 8 years later. Her fascinating life story and worth remembering contribution to the Greek Revolution made Manto Mavrogenous one of the greatest Greek heroines. In her homeland, Mykonos, she is still honored for her courage, integrity and strength. Holidays in Mykonos: what about the kids? Mykonos: A story like a fairy tale! Water sporting: SEA the fun side of Mykonos! Mykonos or Santorini? Make the right choice! M Mykonos Villas are a 4 homes-away-from-home complex that combines contemporary amenities and exclusive VIP services with the traditional minimalist Cycladic architecture.